My name is Margaret. I`m from Russia. Cosplay is my passion in life. I’ve been cosplaying since 2014. I like to create costumes and I do everything myself. I’ve always been a huge fan of gaming. Not so long ago I fell in love with League of Legends. And now I want to do many cosplay on League of Legends! Cosplay is not my full-time job. I also have a regular job. 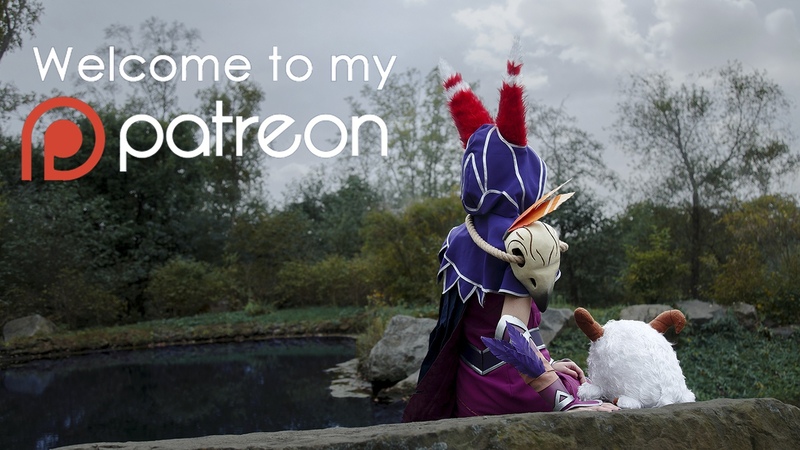 So if you supporting me on Patreon, you will give me more opportunity to create cosplay.With Patreon support I will can increase a quality of my costumes by using new techniques and materials. All the money will be spent only on the different cosplay things such as fabrics, PVC, EVA and other materials for crafting, wigs, photoshoots and equipment! If you want to support me, you can become my patron with 1$ or more. No matter what you give, you help me create more cosplay. Thank you! For a new League of Legends cosplay!